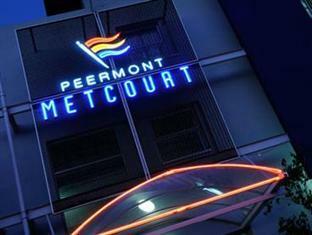 ﻿ Peermont Metcourt - Francistown Francistown. JIMAT di Agoda.com! Ada soalan mengenai Peermont Metcourt - Francistown? Diubahsuai pada tahun 2011, Peermont Metcourt - Francistown memberi jaminan kepada tetamu penginapan yang menyeronokkan di Francistown sama ada untuk perniagaan atau berseronok. Hanya sejauh 3.8 Km, hotel 3-bintang ini boleh diakses dengan mudah dari lapangan terbang. Dengan tarikan utama di bandar ini seperti Francistown Airport berada pada jarak yang dekat, pengunjung hotel pasti akan menyukai lokasinya. Di Peermont Metcourt - Francistown, segala usaha dilakukan untuk membuatkan tetamu berasa selesa. Oleh yang demikian, hotel ini menyediakan perkhidmatan dan kemudahan yang terbaik. Wi-Fi percuma semua bilik, pengawal keselamatan 24 jam, pengemasan harian, khidmat teksi, Wi-Fi di tempat awam merupakan beberapa kemudahan yang membezakan Peermont Metcourt - Francistown daripada hotel-hotel lain di bandar. Tetamu boleh memilih dari 53 bilik, semuanya yang akan memberikan suasana ketenangan dan keharmonian. Sepanjang hari anda boleh menikmati suasana yang santai dengan taman. Dengan lokasi yang ideal dan kemudahan sepadan, Peermont Metcourt - Francistown sangat memuaskan hati. Provides adequate accommodation for the short stay. The new secure car park to the side of the Metcourt is a welcome addition. The rooms are on the decline, particularly the air-conditioning units which are noisy (rattle and vibration) and the bathrooms (toilet seat damaged and loose). I stayed at Peermont with my family and the experience was wonderful. Safe car parking site and the Spurs restaurant is strategically situated. The rooms are clean and the wifi is good. 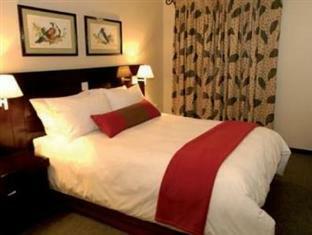 The staff is excellent and the hotel's location is very central to all the important places in Francistown. I will definitely go back. The worst thing about Peermount is that they do not have any secured parking. The best things are the rooms they are lovely . We have stayed at Peermont Metcourt Francistown before.our last stay was excellent. This time sadly it did not measure up! Firstly the aircon didn't work & it was a very hot night. Secondly even though we booked two rooms for two couples there was only one bath towel in each. Thirdly.....there were some very inconsiderate clients who partied in the hotel courtyard from 12:30am-till well beyond 2:30am!!!!! At 2:30am I rang reception & asked for the people to be moved on....this didnt happen quickly. Fourthly....the toilet door in our bathroom (Room 205) was a CLEAR solid glass panel-THERE WAS NO PRIVACY!!! This is not acceptable. Should we choose to stay there again we will definitely be asking to NOT stay in room 205.
big rooms, clean and close to town. 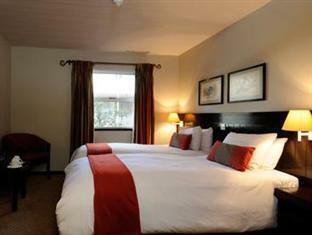 The stay was comfortable, close to town and very convenient for us. The hotel is near shopping mall, the rooms are clean & comfortable. The staff performance is good. Excellent....we have booked to go back in December on our way through to Vic Falls. Looking forward to seeing all the friendly/helpful staff again! Location next to the main A3 road, security and clean room. Staff friendly. Unfortunately no towels in bedroom and Restaurant under renovation and could not be used.Were directed to the restaurant across the road for a buffet supper which had the worst cooked (tuff)meat that I have ever experienced in my life.